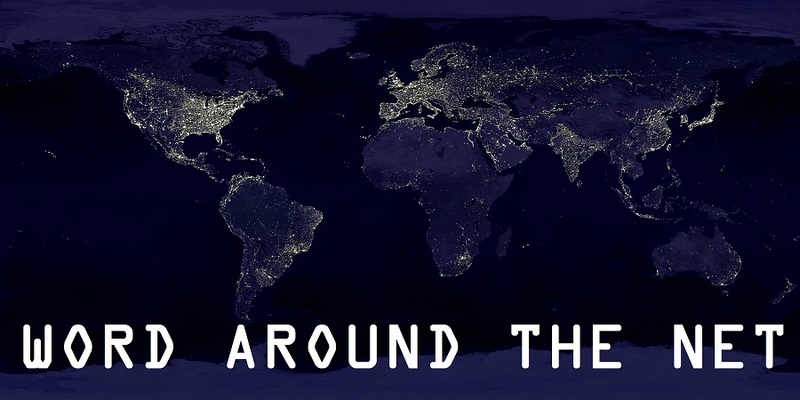 I'm not very good at self promotion partly due to a lack of drive and partly due to a sense that to do so is improper and arrogant, but its part of the job of an author, unfortunately. Tina, a commenter here at Word Around the Net bought and read Old Habits and left a review at the Lulu page where the paperback is for sale online. I expect to get indifferent, happy, and even insulting reviews, but something I never expected was a review that so completely understood what I was trying to accomplish with my story and seems to have crawled inside my head when I was writing it, which is deeply humbling and gratifying all at once. I wanted to share it with everyone so they can learn more about the book. Just so you know there are some very mild spoilers here, nothing that hurts the story or surprises, but some advance information. As I read Old Habits, I kept flashing on Heinlein - Taylor's fiction be-bops along with an easy wit and droll connivance that hark back to "the Dean". But unlike Heinlein's lapses, gratefully (hey I'm a girl), Taylor's hero is chivalrous to the point that female characters get to, mostly, keep their clothes on. Not that he isn't a flirt, and Stoce (that's our thief's name) spends a proper amount of time, as a good hero should, rescuing various damsels, or "slims", from lecherous lugs & evil wizards. There's a nice attention to detail that really draws us unto the story. 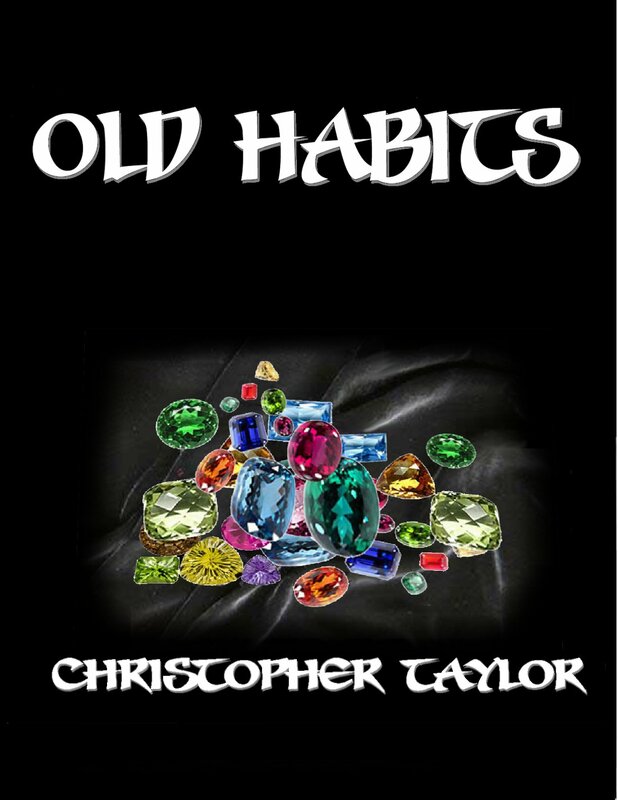 I believe Taylor has some background in role-playing games and he uses that to good stead here: the thief narrates the book with sotto voice asides to give us the background in why certain habits of mind and motion are essential in his trade, as well as in lively blow-by-blow descriptions of what he is doing to counter obstacles. Apparently, "Be prepared" is a good motto for a thief, too. So when he's faced with rusty hinges on a door that must be opened, we already know he's got a little bottle of oil in his swiss army kit and it makes sense for him to use it to oil the danged hinges. There's enough suspense from real surprises without falling back on old radio sound tricks, and Taylor knows it. 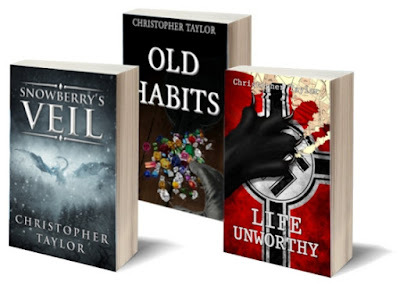 Taylor has created a rich alternate world, with wonderfully delineated places and peoples. I love the lingo - this book has a glossary in the back and it's useful. There's a clever use of slang throughout the story, and the characters fall into "gutter" to hide their intentions from being overheard. I think my fave is "lollard", which means "inconspicuous" as in "being all lollard". Yes, it's a good read, but I want people to read this book just so they'll "get" the reference if I say "lollard" (like we once did with "thief! Baggins!")! Heh. The fight scenes are great - believable and boisterous...and bloody. There's some good-natured gore when required. Our hero takes some hard blows and we are concerned for his fate more than once. OK, we are concerned for his fate pretty much every 3rd page for one reason or another. He's a likeable guy, despite himself, and we'd hate to lose a good character in the middle of an interesting story. The theme is a fine old one: a man on a quest. Like all good quests, the object he thinks he seeks is not that which he longs for, yet the search for one leads him toward understanding the other. Like one of Steinbeck's damaged knights, Stoce seeks his fortune, but longs for fidelity; he rescues women and children, but dares not voice his wistfulness for a home that only a wife & child can make. And under it all is a spiritual quest. The reach for a jewel that one may not be worthy of, the search for healing of a wounded soul. The book rounds out and has a satisfying finale, but I was not ready for this story to be over. I think there's a good series in this character and this setting. I want to know more about what happens to Stoce and Greaze and Jenya and the paladin. Did Stoce learn to read? Did he and Jenya get together? Was Greaze able to settle down into normal young life? And what about the mysterious Judic? So although the author says his next book isn't a sequel to this one, I do hope we'll get to at least pass through Dornica again. I'd recommend "Old Habits" for ages 15 and up. Old Habits is tougher than a juvenile, but still accessible to a teen who's reached a level of maturity. Boys will find it rollicking good fun. 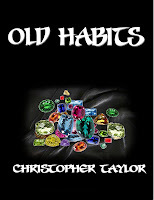 Old Habits is a good clean choice as a gift for someone who likes the fantasy genre. Its themes are reasonably moral and the magic is handled as being within the laws of nature. While not overtly Christian, there's no denying some of the archtypes here - and that's a plus in my book.